Inspired by numerous trips to Korea and more too! Binaural microphones are ideally suited for stealth taping at concerts. I have been hand building these microphones for years for many tapers around the world and their sonic quality speaks for itself. My previous company, which I sold after 27 years, specialized in electronic measurement and test, so don't think that I don't know what I'm doing! I purchase the microphone elements direct from Japan, test each one and the grade-offs are sold to hobbyists who use them in wireless microphones and hobby kits. So, what the heck is a binaural microphone? Like your ears, a binaural mic hears what you hear and when played back through a high quality system, accurately captures what you heard at the concert. The stereo and imaging effect is startling, very clear and transparent - provided that the recording and playback gear is of good quality. Ideally the microphone element should be very low mass (for best transient response) yet mechanically solid (for resonance free response). The electret condensor element used in these mics meets these requirements admirably. However, normal electret microphones do not and thus the constrained, boomy, harsh sound we've all heard from bootleg recordings made with normal microphones. Included is a rugged die cast battery box which holds a battery (duh!) and a filtering system that rolls-off the low end to compensate for the boosted bass that is found in most live concerts. If you are recording classical music, let me know so I may retune the knee of the roll-off curve. the battery box is important since it powers the microphone elements allowing for much improved headroom and overload characteristics - if these mics overload, then your eardrums will be bleeding long before that! 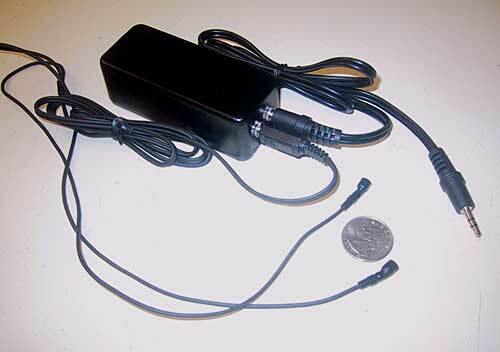 The battery is a regular 9 volt type and will last hundreds and hundreds of hours, the mics automatically turn on when their plug is inserted. Folks have asked me to build a smaller battery box, but I have yet to find a smaller box that I am happy with - something that is rugged, yet big enough for a couple of solid jacks and the battery. I have a very supple over 4 foot long cord on the mics, allowing you to hide the mics on an eyeglass frame, hat or even in your hair! Molded rubber strain reliefs on each mic protect the delicate element. 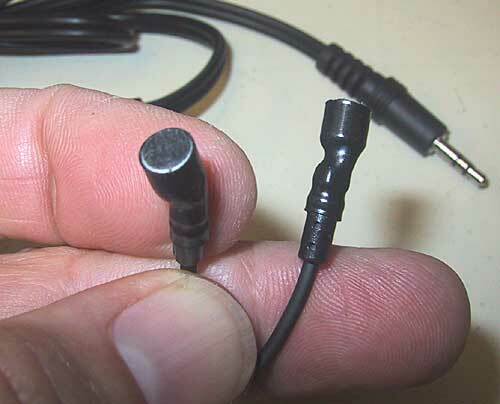 A short connector cord also comes with the set to connect from battery box to the recorder. Hey, I even give you a battery too! Well.. how do they actually sound?? Through the generous courtesy of Steve in Hawaii, here is a link to a recent show he did of Jack Johnson, Live at Waikiki Shell on April 20, 2008. Go to this link and you are presented with many download options. You can see just how "Live" the recordings sound! Great job, Steve! "I was awestruck with the amazing presence these mics provided, they totally put me back in the venue." "Even though I am new to concert recording, I was easily able to patch together a pretty cool system. The recordings I have made so far are incredible, thanks!" "...blows away microphones my room-mate bought for $230!" And from a listener, "I still can't get over the quality of the recordings from this festival. I've listened to both days and I'd give these recordings 6 or more stars if I could! I've bought CDs in stores from live shows and while most are good, I find too many are below average. This one leaves them far behind!" Use the Paypal button below to order! Postage is prepaid Priority US Mail to anywhere in the USA, and Priority airmail to International locations.